Jerusalem is one of the oldest cities in the world, and a religious center for Judaism, Christianity, and Islam. The city is also a major tourist site. The well-preserved Old City (east Jerusalem), is the location of the major historical and religious sights. 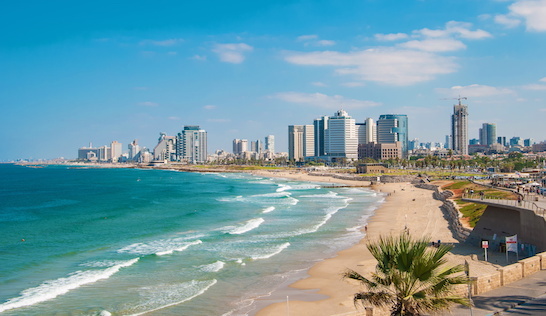 The western part of the city is where the bulk of the residents live, and is home to Israel’s main government buildings. Although you might see fewer joggers in Jerusalem than in other cities, there are some good spots! We’ve put together a good ‘tourist’ run of some of the major sites, using busy Hebron Rd. as an anchor, and heading up to Hebrew University and Mount Scopus. This is part of the Jerusalem Marathon route. There is also a wonderful Promenade (Tayelet), with great views of the Old City. The best off-road run is the Rekevet, which is a 3.5 mile ‘rail trail’ accessible from the central part of Jerusalem. The best green spaces for running are the centrally located Sacher Park, and the Jerusalem Forest, which is a few km west of the Old City and has some good running trails and roads. For a destination run, head to the Ben Shemen Forest. A few notes: We do not recommend running in the Old City. The streets are narrow, crowded, and for reasons of religion and respect. We also recommend being careful about running in certain neighborhoods, for both safety and religious respect concerns. Please consult a guide book or speak with your hotel concierge. Also, Jerusalem is crowded and busy with cars, and some roads have narrow sidewalks or no sidewalks at all. Use caution.